The simulator allows the appearance of the ISS (or in fact any satellite ) to be predicted as it will be seen from any point on Earth at a particular time. The maths behind the code was developed by Phil Masding and once the user has specified various parameters such as location, time, orbital elements of the satellite etc. it will generate VRML (Virtual Reality Modelling Language) code which may be viewed in an internet browser with a suitable plug-in such as Cosmo Player. 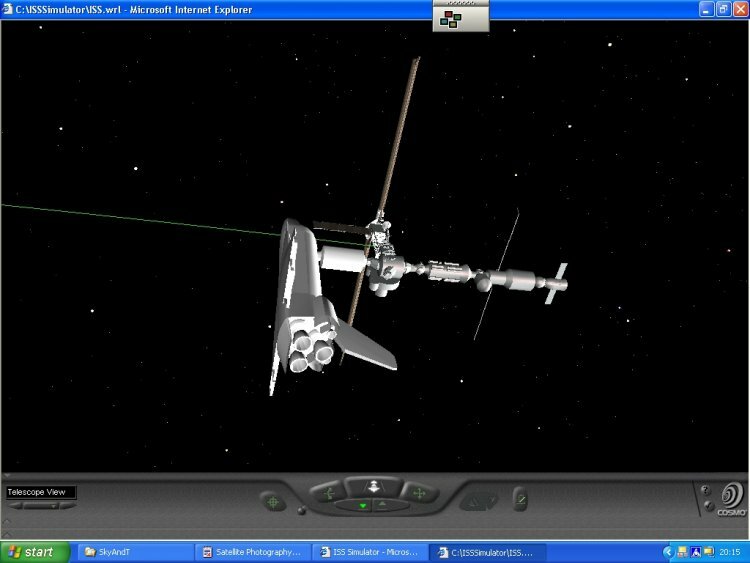 February-2003: V3.0 is now released which adds support for the ISS P1 truss, VRML time controls, picture matching, The Moon, rotating Earth and much more! If you have any comments or suggestions about these pages please contact the author.